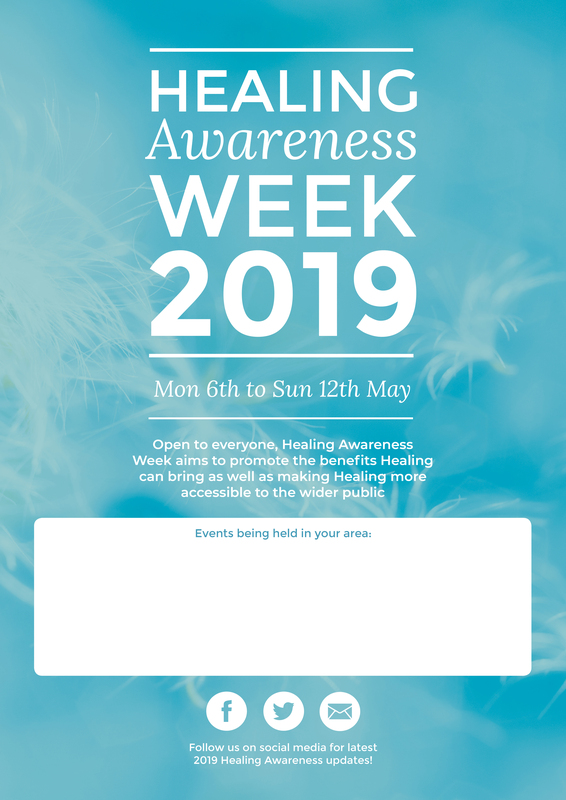 Healing Awareness Week takes place this year from 6th to 12th May. We're aiming to introduce the concept and benefits of Healing to a wider audience to inform and inspire people in our local communities to experience it for themselves. Our focus this year is to let people know how Healing and self-help can contribute to wellness and help change life in a positive way. What can you do to support Healing Awareness Week? Approach your local GP surgery, hospital or care home to demonstrate Healing. Share your experiences of Healing with friends or by talking at local groups. Ask us about healers in your local area. This year, any funds raised through Healing Awareness Week activities will go to The Sam Buxton Sunflower Healing Trust, which provides complementary healing therapists to work alongside conventional medicine. Please do get in touch if you have ideas on how you might get involved, so we can help. We have more ideas, resources and toolkits in the pipeline to help you plan and promote whatever you choose to do. We're very thankful for your support. 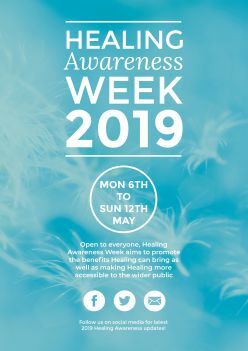 Four leading healing organisations have come together to support Healing Awareness Week, to publicise the initiative and encourage healers around the country to run events locally during the week of 6th to 12th May 2019. 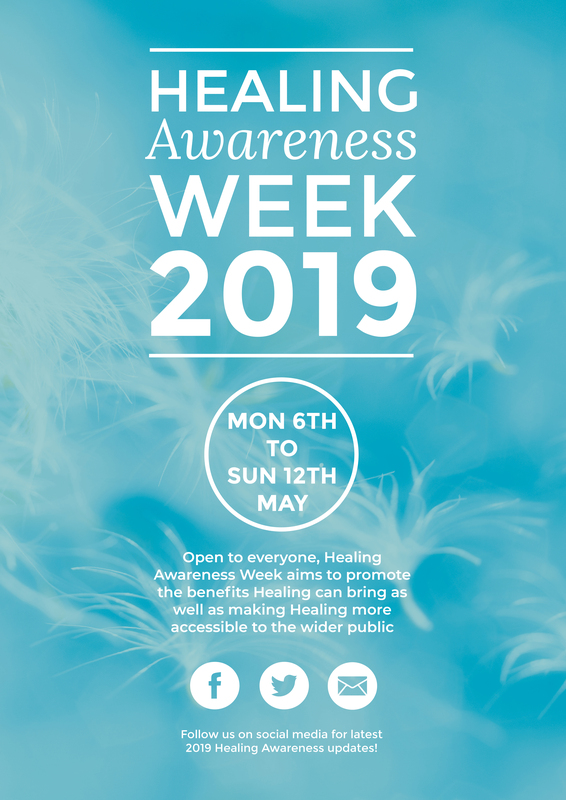 We will publicise Healing Awareness Week through our existing marketing and social media channels, advertising, public relations, websites and newslettters. Please like and follow our Healing Awareness Week Facebook page @HealingAwarenessWeek and please share our posts. 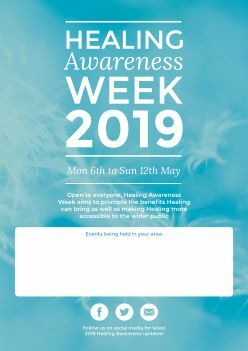 There will be a specific Healing Awareness Week page on each of the four organisations’ websites where events can be listed. Please click on the links beneath the pictures to access the full size downloads. Healing Awareness tri-fold public leaflet - Download file - coming soon! The below posters are for you to download and promote Healing Awareness Week.